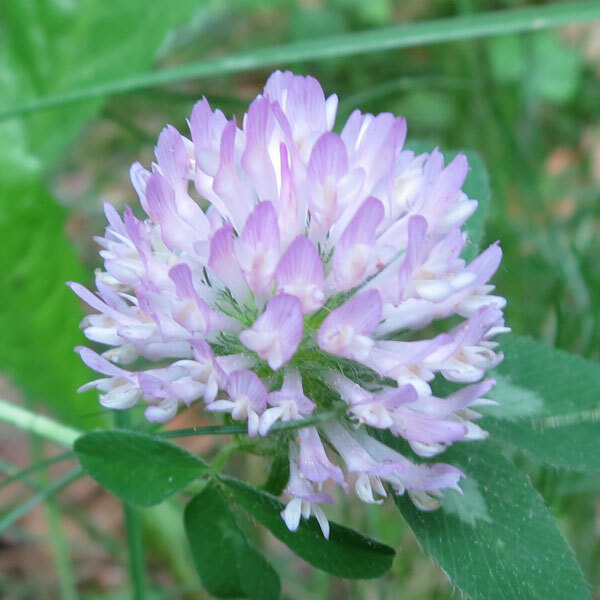 The Clover, or Trifolium is found pretty much all over the world. 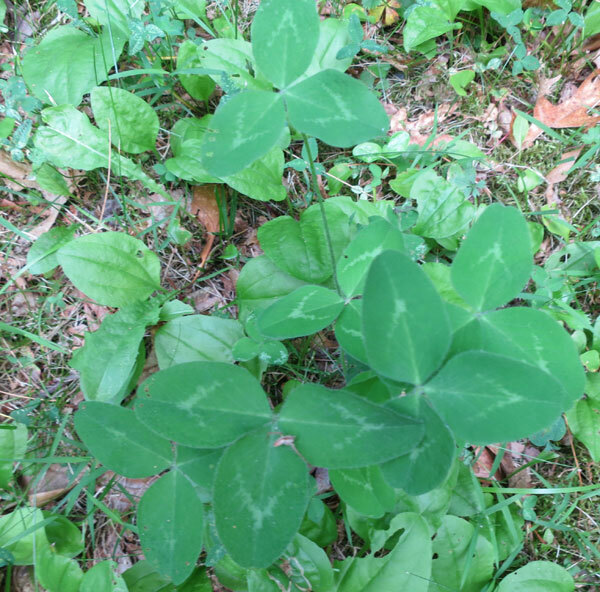 It is often known as a three-leaf plant. In Ireland it was supposedly the way that St. Patrick taught the Irish about Christianity and about the Father, Son, and Holy Spirit. 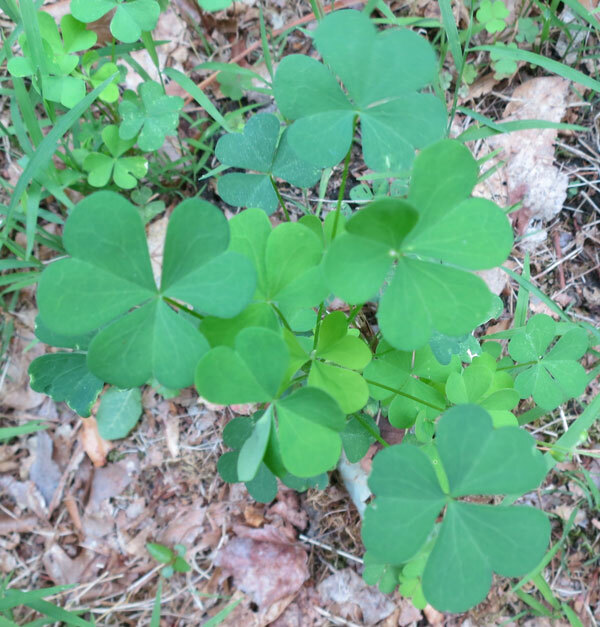 Cows love to eat clover. 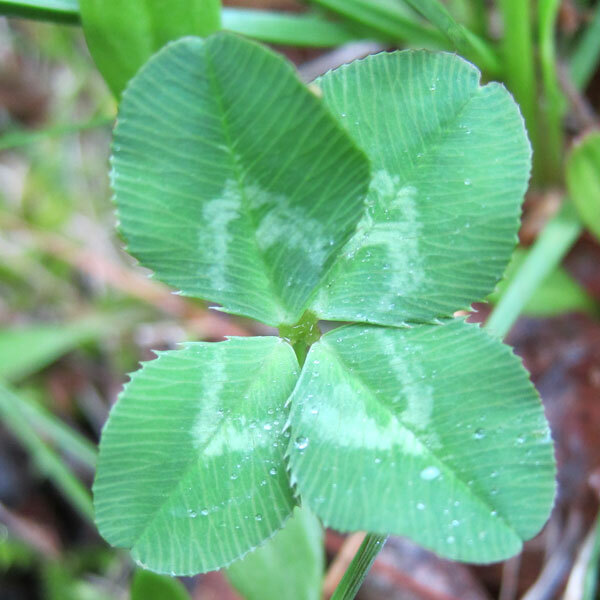 A four leaf clover is supposed to be very lucky! I've found a few of them over the years and am always delighted when I locate one. 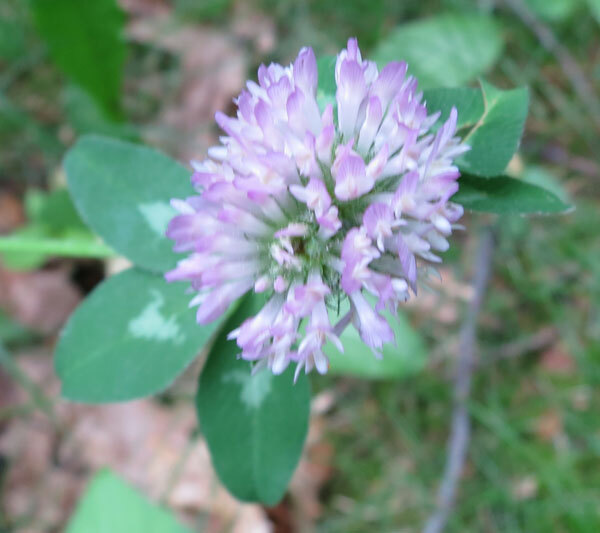 The purple clover flower blooms in early June in Sutton. 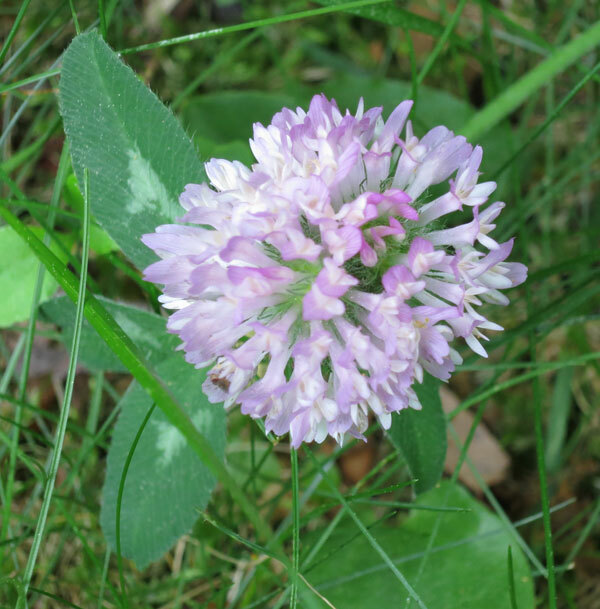 The flower photos here are from June 6, 2013. The four leaf clover is from earlier. 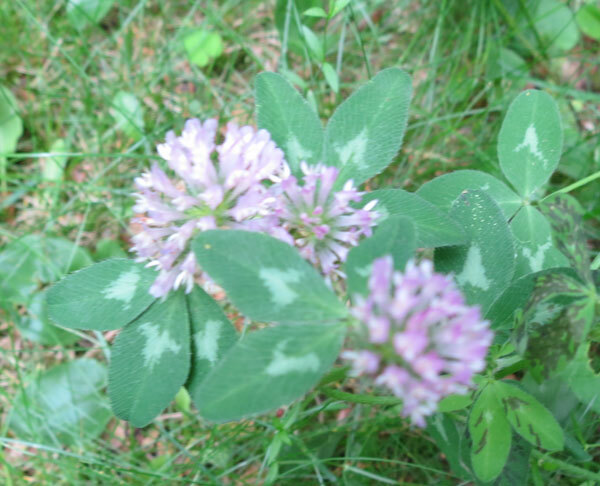 These next two are from July 2014, of two different types of clover in my yard.